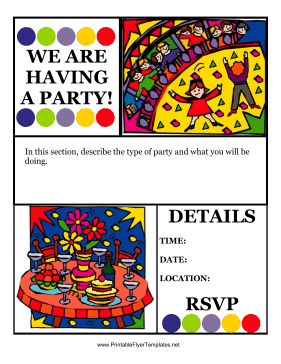 Represent your party well with this artistic and bright flyer. This sign can be folded and sent out to guests or posted at work or school. Bright and colorful pictures are sure to delight young and old alike. Be sure to include contact information so your guests can RSVP.